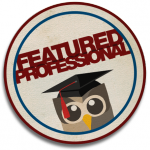 The Featured Certified Professional Series shares the social media stories of our dedicated HootSuite University students, highlighting their unique challenges and accomplishments. Learn from professionals in a variety of industries and sectors, who are committed and invested in their social media education. 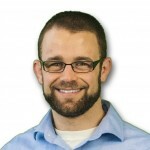 This week, we’re pleased to feature Luke Summerfield, Director of Inbound Marketing at Savvy Panda. Luke uses HootSuite University to train his team on social media and the HootSuite dashboard, ensuring they have the necessary skills and credentials to succeed on behalf of Savvy Panda. Read more about how this inbound marketer leverages the HootSuite dashboard, and education from HootSuite University, to achieve his company goals. Tell us about Savvy Panda, Luke! Savvy Panda is an Inbound Marketing and Joomla Web Design agency located in the land of beer and brats; Milwaukee, Wisconsin. We do consulting and implementation of marketing and web strategies with medium to Fortune 100 companies. How do you currently use social media at Savvy Panda? Content Distribution: We use social media as a broadcast channel to send out great content to our audience. For both our agency and our clients, we put a huge emphasis on providing quality, educational content in the form of blog posts, ebooks, webinars and more. Once the content is created, we use our social media channels to help get that content into the hands of interested people. Relationship Building: We also use social media to help create and foster relationships with members of the community. We are firm believers in using social media as a communication tool to help develop deep and personal relationships. The better the relationship we have with our audience and clients, the more engaged our audience will be, and the more likely they are to consume and share our content. Additionally, building real, genuine relationships with our audience, customers and prospects helps in the sales process, as it builds trust and brand authority. What challenges have you faced with social media? A few years ago when we started working more with social media, we ran into a number different challenges. One of our biggest challenges was learning how to efficiently manage and stay on top of all our social media accounts, and those of our clients. With more and more accounts to manage, it was very time consuming and frustrating to stay on top of all the activity. A second challenge was effectively monitoring the conversations going on around our brand, product/service and industry. Before using a monitoring tool like HootSuite it was nearly impossible to seek out and keep up with these relevant conversations. Lastly, as our team grew it became very hard to coordinate who was managing what accounts and how to manage the various social messages we were receiving – we never knew if someone had already responded to a post or not. How has the HootSuite dashboard helped you manage and grow your professional social media presence? The HootSuite dashboard has been a critical part of our social media success. We’re responsible for so many social media accounts that it would literally be impossible to manage them all without this social media management system. To have a central place to manage, post and schedule all of our content saves our agency so much time and allows us to do more. Additionally, HootSuite’s social monitoring capabilities have really helped us reach out even further into the social world to connect with new people and prospects who were already talking about our brands or those within our industry. Without monitoring on HootSuite, we would have never known these conversations were happening, limiting our ability to create relevant, meaningful and genuine relationships. Lastly, because we have a team of 11 employees, HootSuite Teams and the Assignment function works wonderfully for keeping everyone in the loop around roles, responsibilities and actions in the social media world. How has HootSuite University helped you address these challenges? Although the HootSuite Dashboard is a great tool, if you do not know how to properly use a tool, there’s a good chance that you won’t maximize its value. HootSuite University not only gave us a full understanding of the capabilities of the HootSuite dashboard and how to actually implement them, this social media training program also features some of the industry’s top experts, keeping us up to date on the changes in the social media world. For us, it’s important that we not only have great tools to use, but also the knowledge and expertise to use them as effectively as possible. The HootSuite Dashboard, coupled with HootSuite University, gives us what we need to be successful with social. 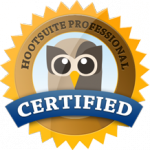 Why was it important for you and your team to get HootSuite Certified? We pride ourselves on being on the cutting edge of the changing social landscape, and we aim to instill confidence in our clients that we are always on top of this. To do this, it’s important that we educate ourselves as much as possible. HootSuite University delivers the educational resources needed to keep our team on top of the changes in social, as well as the certification to showcase our expertise with the HootSuite dashboard. As a HootSuite Certified Professional, you’ll be listed in our public directory, showcasing your expertise on HootSuite and social media. HootSuite University students benefit from continued access to our hands-on video training, webinars featuring industry leaders, social media courseware, and our HootSuite Certification Program. Learn more!